Posture is just one component of your health, but it can have a surprisingly big impact. Luckily, there are a number of things you can do to fix your posture, and once you do, you might be pleased to find that you see improvements in all areas of your life. 3) Bad Mood: How you sit or stand seems to be completely separate from your mood, but your posture can actually play a role in your mental state. 4) Less Motivation: Someone who has proper posture appears more confident and approachable, which will affect many social situations. 7) Constipation: Bad posture slows the movement of your intestines and can back you up. 8) High Blood Pressure: Slumping while sitting and slouching while standing can end up leading to high blood pressure. To attain the neutral spine position, put your shoulders down and back, pull your head back, and engage your core muscles. "Bring your belly button in toward your spine, as if you're zipping up a snug pair of jeans. This will help to engage the transverse abdominis muscle, which acts like a corset around the spine. 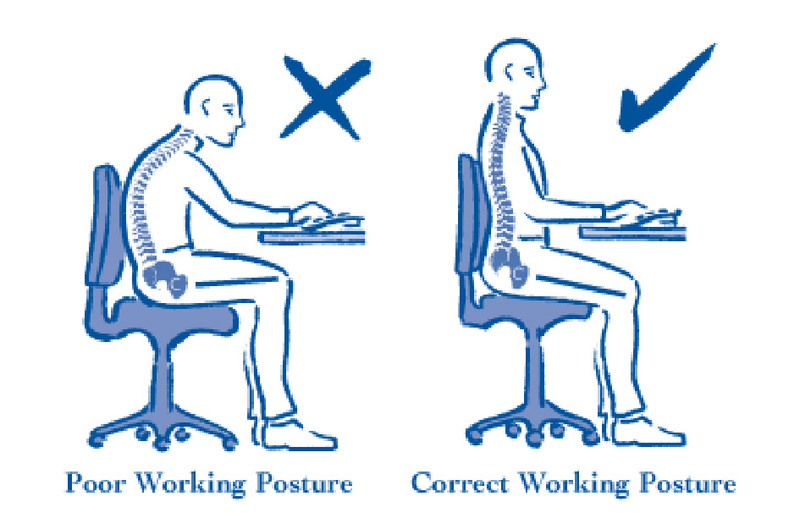 Other tips: Use a low back (lumbar) support pillow to remind you to sit upright in a chair, and change your position every 30 to 60 minutes.. "Be vigilant, and good posture will contribute to many aspects of health."